Will Flipkart’s private label bid for electronics do the trick? Ecommerce major Flipkart, which has tasted considerable success through the private label route in the fashion category, is looking to replicate the model in the electronics category as well. Mint. The company is also entering the mobile devices market by rolling out a budget phone to compete with offerings from Xiaomi and Micromax, the financial daily reported, citing unnamed persons. Private labels help e-tailers control margins and create differentiation in the overcrowded ecommerce market. Products such as mixers and backpacks are already available under the Billion brand on the Flipkart platform. Flipkart has already made significant gains through the strategy at Myntra where private labels accounted for about 20% of the company’s gross sales in 2015. Myntra has around 11 private labels, including Roadster, All About You, HRX, Wrong, Anouk and the recently launched Ether, on the platform. Myntra earlier stated that it aims to increase the share of in-house labels to 25% in 2016-17. Ankur Bisen, senior vice president at Technopak Advisors, calls it a smart move. Categories such as electronics and appliances lend themselves well to private labels as consumers look for value and convenience more than brand differentiation. “As these categories are now need-based, consumers are not bothered much about brand differentiation. Twenty years ago, buying a washing machine of a certain brand was an aspirational statement, but today it is a need. So people just look at functionality,” said Bisen. However, not everyone is considering it as a wise move by Flipkart as the market for private labels in these categories may not be big enough to warrant an entry of fresh players. “Appliances are bought for four-seven years by the consumer, unlike apparel, which will last maybe six months. So a 10% price difference is not enough to create a market for a private label,” said Anup Jain, founder and managing partner at Redback Advisory Services. According to Jain, the percentage of the unbranded/unorganised sector in the apparel/fashion industry has always a target for a company like Flipkart to convert consumers from the unbranded segment to the branded space. But in the case of appliances such as washing machines and irons, among others, the proportion of unorganised sector is quite small. At the same time, Jain believes the sub-category of phone accessories—which include power banks, headphones, cables and chargers, among others—is still lucrative for the entry of a private label due to the presence of highly unorganised Chinese goods in the market. This is not Flipkart’s first attempt at building its own brand in this segment. The company had first built digital accessories brand Digiflip which was discontinued in December last year. Started in 2012, Digiflip sold laptop bags, laptop skins, cameras and camera bags. 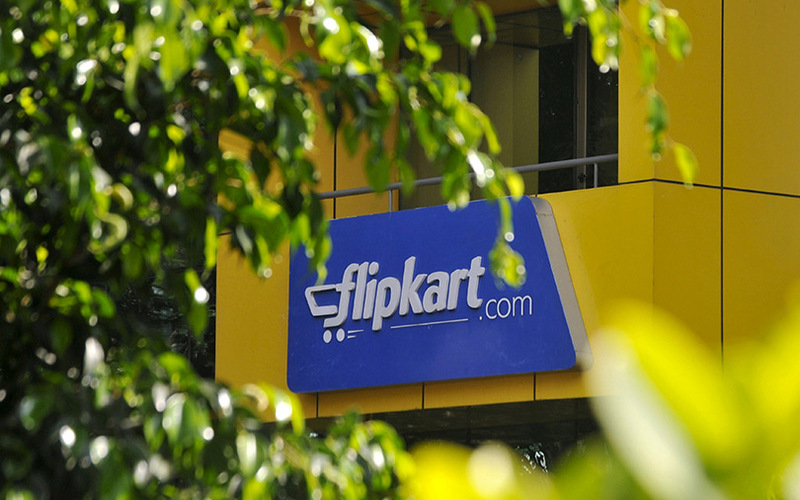 Under the brand, Flipkart also entered the crowded domestic tablet market. Christened as Digiflip Pro XT712, its tablet offered a seven-inch display and ran on the Android Jelly Bean operating system. Targeted at the budget segment of the tablet market, it had been priced at Rs 9,999. The homegrown ecommerce giant tried its hand at private label again in December last year when it launched Flipkart SmartBuy which is going to have 25-30 categories in electronics, electronic accessories and home plastics in the initial phase. However, Bisen believes Flipkart’s previous attempts at establishing itself as a private label player do not reflect how the Billion brand will be received. this category right and take another shot at it,” Bisen said. Taking a cue from Myntra, Amazon also entered the private label fashion space with the launch of ethnic wear brand for women Myx and men’s wear brand Symbol last year. In 2015, the ecommerce giant launched its in-house label AmazonBasics which offers a range of digital and home accessories. Online grocer BigBasket has also been ramping up its private label business eyeing higher margins. It expects private labels to contribute 45% to its overall revenues by March next year.